Kennett High School kicked off the season with its annual turkey drive, which ran from the beginning of November through November 21. Social studies teacher Mr. Shawn Duffy coordinated with his senior students to collect frozen turkeys and donate them to the Kennett Food Cupboard. The students also purchased the turkeys with the donated cash and collected, delivered, and unloaded the turkeys at the Food Cupboard. More than 100 turkeys were donated this year. Kennett High School’s Students Against Destructive Decisions (SADD) Club held a coat drive from December 4 through 8. Students and faculty were encouraged to donate a coat throughout the week and on the last day of the drive, all community members were welcomed to either drop off a coat or pick one up. Students assisted with collection and distribution, along with promoting the drive to fellow classmates. One hundred coats in total were collected, and extra coats were donated to La Comunidad Hispana in Kennett Square. 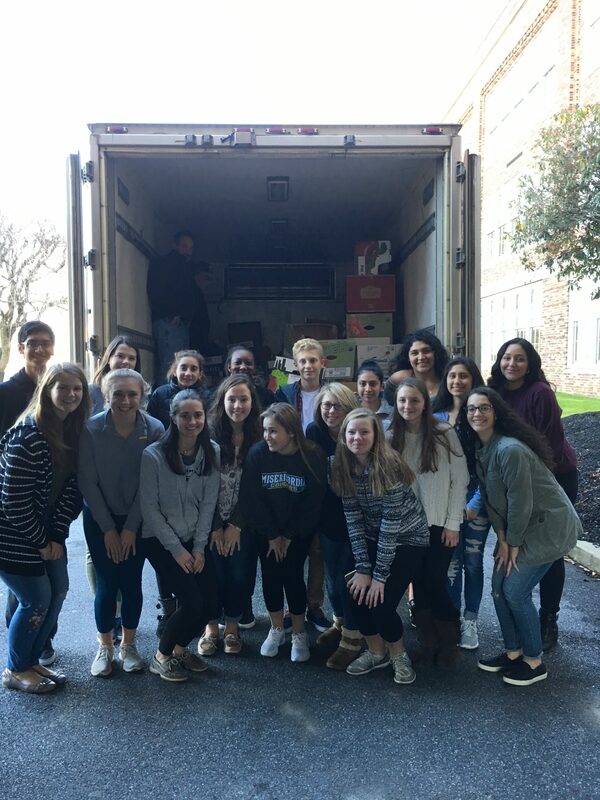 Kennett High School’s Unidad Club raised money and collected clothing, nonperishable food items, and school supplies that were shipped to churches in San Juan, Ponce, and Santa Isabel to aid the crisis in Puerto Rico. The money raised covered the postage for the items. Kennett Middle School gave back during the holiday season with an Adopt-A-Family drive. Students and staff pitched in to raise money, using peer-to-peer donations, and each grade level hosted an event for the drive. Seventh grade students kicked things off with a talent show, dubbed Seventh Grade’s Got Talent, which was held on November 6. Students and teachers gave a donation to audition, and audience members gave a donation as the price of admission. The winner was Grace Baliss, who performed a Harry Styles song. The show raised $1,000. The sixth grade hosted a “glow dance” in the cafeteria on December 1. Students donated to receive admission. Teachers sold refreshments, along with “glow gear” throughout the evening. The eighth grade held two fundraising events. Right before Thanksgiving, they gave spare change to vote for a teacher to wear a turkey costume the day before break. This year’s “winner” was Ms. Kate McGill, a student teacher from West Chester University. The second event was a student-versus-staff volleyball game. Students paid one dollar for the chance to be a member of the student team. Six male students and six female students won the chance to play on the student team. The student council also wrote and donated greeting cards to the Kennett Area Senior Center. The Mary D. Lang Kindergarten Center continued its tradition of giving food donations to the Ronald McDonald House. The drive was kicked off with a spirit assembly before Thanksgiving, led by school nurse Ms. Kelly Hostetler, who explained the Ronald McDonald House program to the students. The goal for this year was 500 cans, but the school’s administrative assistant, Mrs. Jane Henry, said they always exceed their goal. 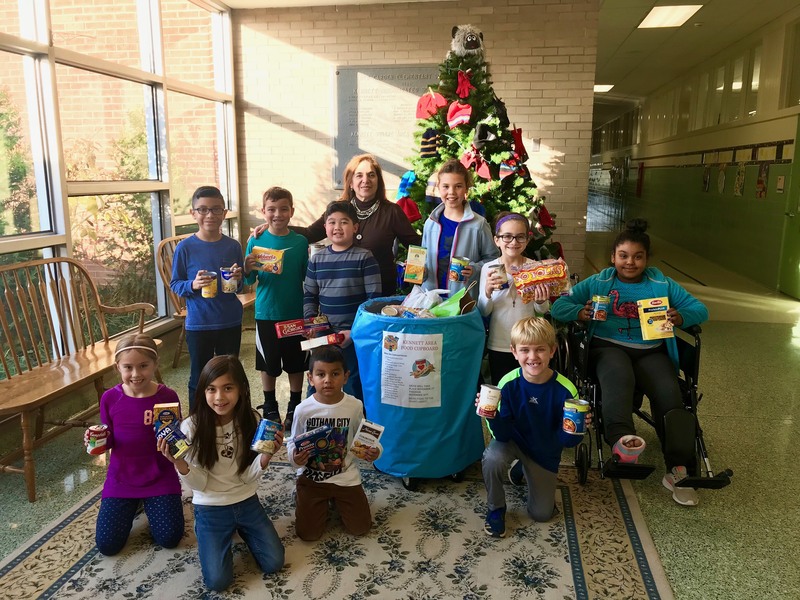 Bancroft Elementary School students began their season of giving with a food drive held from the beginning of October through the beginning of November. The collected food was donated to the Kennett Food Cupboard. The food drive culminated in the school’s annual Walk for Hunger, where all students and staff walk outside. 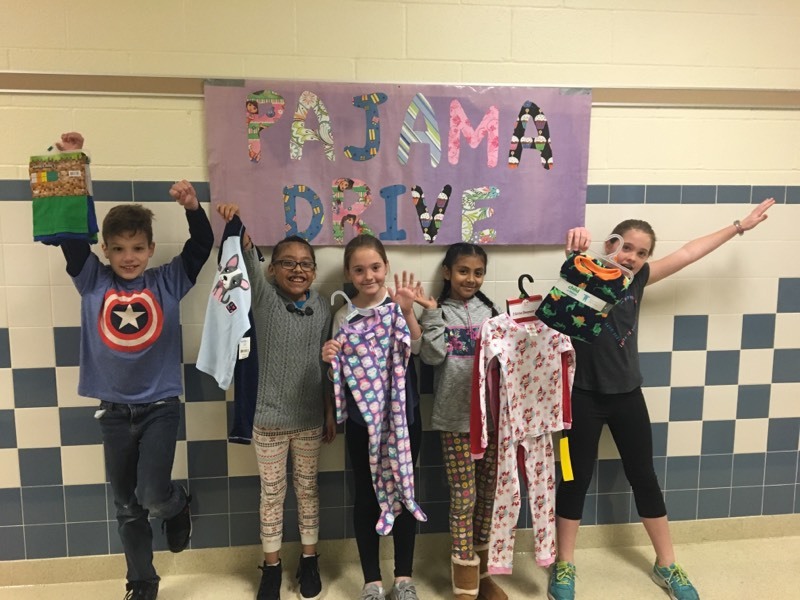 Bancroft Elementary School also held its fifth annual Pajama Drive. Students are asked to donate new pajamas, ranging in size from newborn to adult. The school has a goal of collecting 200 pairs of pajamas, which it usually surpasses. Mrs. Sara Simasek’s life-skills students assist with counting and sorting the pajamas. The drive concluded with a school-wide assembly where the donations were displayed so the students could see their result of their hard work. 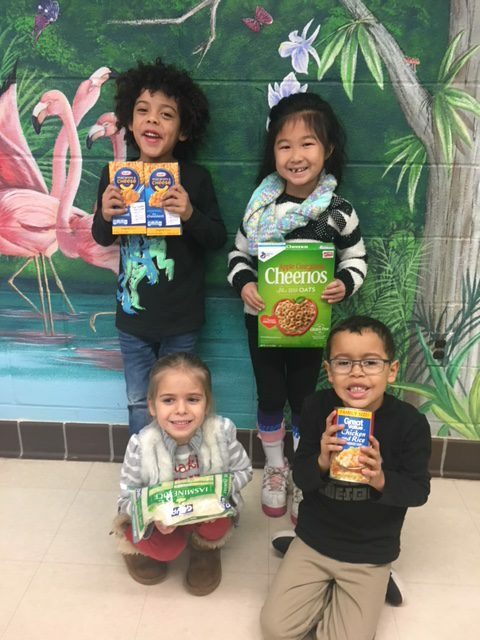 New Garden Elementary School began its season of giving with a food drive that ran through the month of November. Students wrote their own announcements and read them every morning over the public address system to encourage their classmates to donate. “We wanted the students to feel involved in the process,” says Principal Susan McArdle. New Garden Elementary school partnered with Kennett High School’s Humanitarian Club for this drive and the food was donated to the Kennett Food Cupboard. Students also participated in a new tradition – a tree lighting at Toughkenamon. The fourth and fifth grade chorus caroled during the inaugural tree lighting on the evening of December 1. “It’s a really great way to connect with the community,” says music teacher Mr. Ryan Battin. The school also hosted a Giving Tree, where donated hats, mittens, and gloves were placed on a tree in a lobby; any student who needed an item could take it from the tree. There was also a jacket donation where parents could pick up a winter coat for their student during parent-teacher conferences. New Garden Elementary School didn’t stop there. The school also hosted a Toys for Tots donation box throughout December. 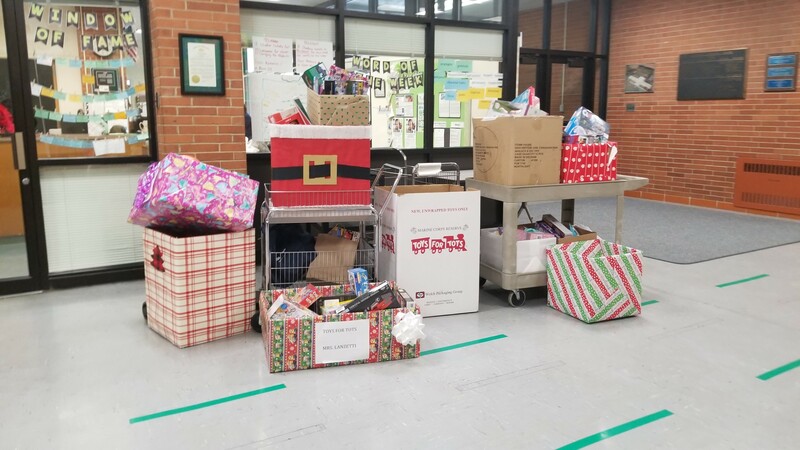 Greenwood Elementary School gave in many ways this year, including a toy drive benefiting Kennett Square Toys for Tots and a food drive benefiting the Chester County Food Bank. To help get everyone in the spirit, parents helped decorate collection boxes with each homeroom. These collection boxes were placed in the hallway so students could see them, and a decorated display was placed in the school’s main lobby. Ms. Lauren Leighton, community outreach chair of the Parent Teacher Organization (PTO), led the organizing efforts. “There’s always a huge response and the kids get very excited,” she comments. The drive ran through December 15. The students celebrated reaching their donation goal with a pajama day at school and a screening of The Polar Express. 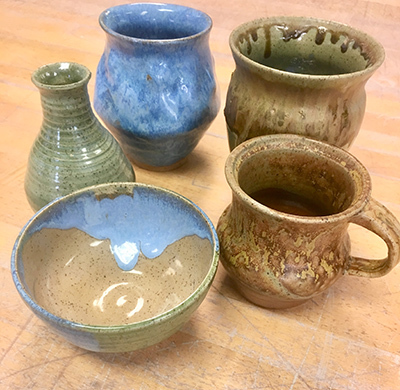 Nearly fifty pieces, including beautiful wheel-thrown mugs, bowls, and vases as well as hand-built holiday pieces like Christmas trees and plates, will be available for purchase at this year’s Ceramics Sale at Kennett High School. All works were crafted by students in teacher Ms. Jodi Davidson’s ceramics classes, levels I through III. Eight years ago, Ms. Davidson and her students developed this creative way to add to their annual budget, with all proceeds from the sale helping to support the purchase of materials like clay and glaze for future projects. Ms. Davidson noted, “The items available for sale are of the same hand-crafted quality you’d find at an expensive gallery, but we sell them for a fraction of the cost. The students have created some amazing work, and the money goes directly back into our program.” Last year’s sale raised approximately $500. The sale will be held in the school’s lobby on December 19, 2017, and will be open to the public from 8 a.m. to 2:00 p.m. Prices range from $5 to $35. It’s said that the best teachers teach from the heart, a sentiment that captures the impact of Mrs. Lisa Shoemaker, a fourth-grade teacher at New Garden Elementary School. She has taught fourth grade for five years and began her career in the District as a first-grade teacher. Mrs. Shoemaker has her undergraduate degree in elementary education from West Chester University, where she enjoyed working with kids . While pursuing her master’s degree in reading, writing, and literacy from the University of Pennsylvania, Mrs. Shoemaker was also teaching first grade full time in the Philadelphia School District, putting all of the theory she learned into practice. Teaching comes with challenges, including the changing social dynamics of children. “A lot of social struggles begin in fourth grade, and I try to give them the tools to fix it themselves,” she says. Mrs. Shoemaker lives in Kennett Township and has two children at Kennett Consolidated High School, Sam, who is in ninth grade, and Isabel, in twelfth grade. She likes walking her dog, reading, taking care of her plants, and spending time with her children. 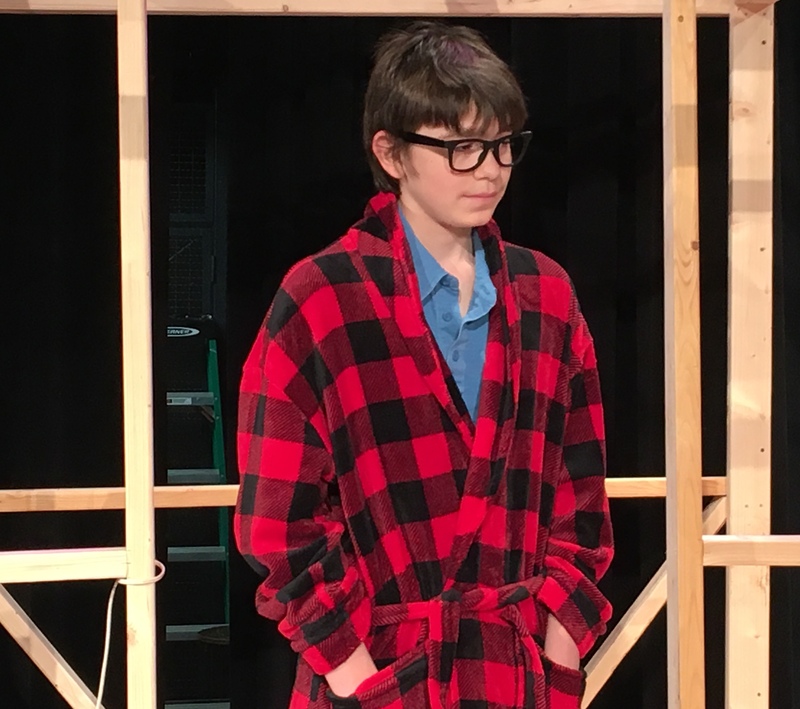 Kennett High School proudly presents Almost, Maine on Friday and Saturday, November 17 and 18. 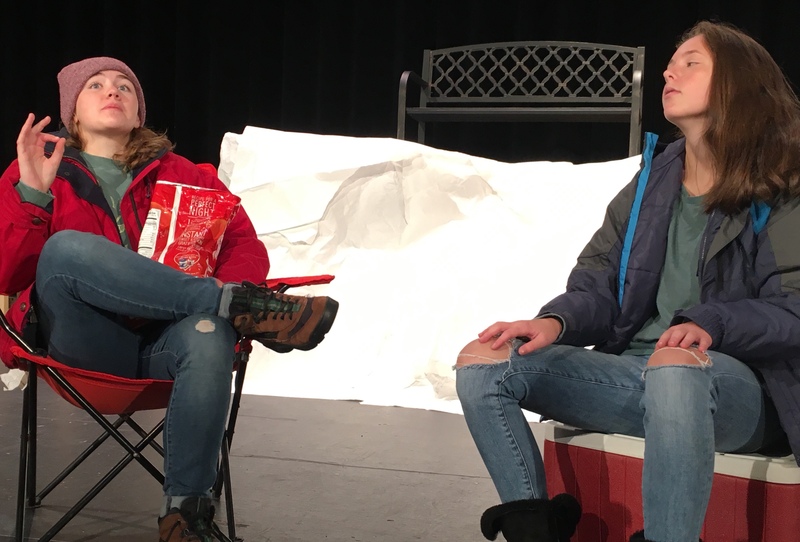 Almost, Maine, written by John Cariani, is a beautiful play that highlights the funny, poignant, and often magical ways people fall in and out of love. 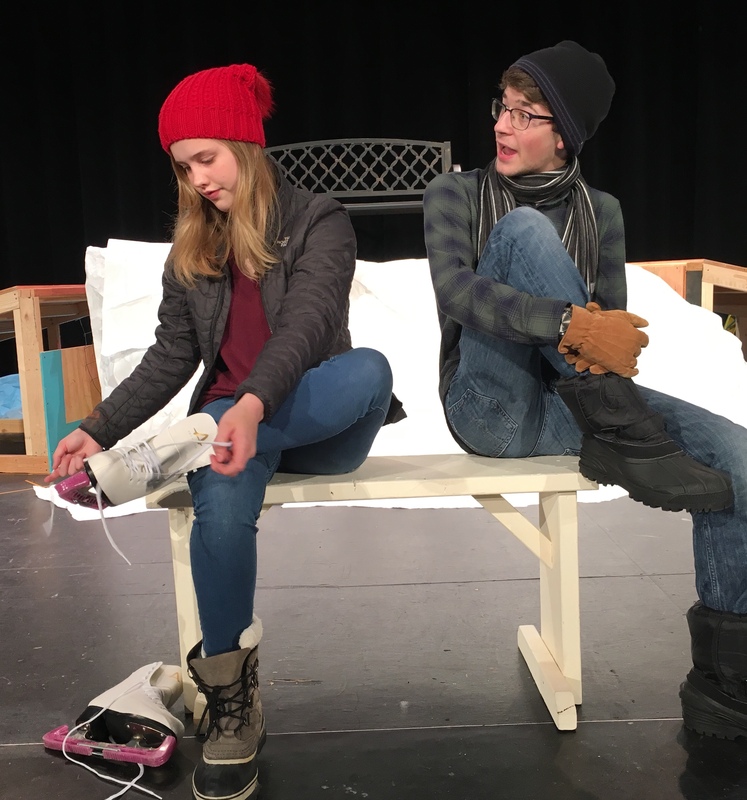 The action of the play takes place on a single night in fictional Almost, Maine, a place too small to be considered a town . . . but almost. The romantic comedy studies love and loss in the relationships of nine couples: Pete (Tejis Ranganath) and Ginette (Holly Gouge), East (Jimmy Rosser) and Glory (Francesca Caccamo), Jimmy (Colin Petersen) and Sandrine (Anais Jevtitch), Maralyn (Victoria Gonzalez) and Steve (Danny Drennan), Gayle (Tamblyn Mitchell) and Lendall (Connor Lang), Deena (Avery Chapman) and Shelly (Julia Haenn), Phil (Evan Shinn) and Marci (Megan Bunke), Hope (Abbie Duckworth) and Daniel (Christian Adam), and Rhonda (Mirella Petrillo) and Dave (Kevin Fiss). The role of the waitress is played by Emma Giancola. Almost, Maine premiered in 2004 and enjoyed immediate popularity, perhaps due to its unique structure, surprise endings, healthy dose of magic, and timeless, relatable themes. It is the now the most performed play in North American high schools. Nance Weber, parent of Kennett grads A.J. 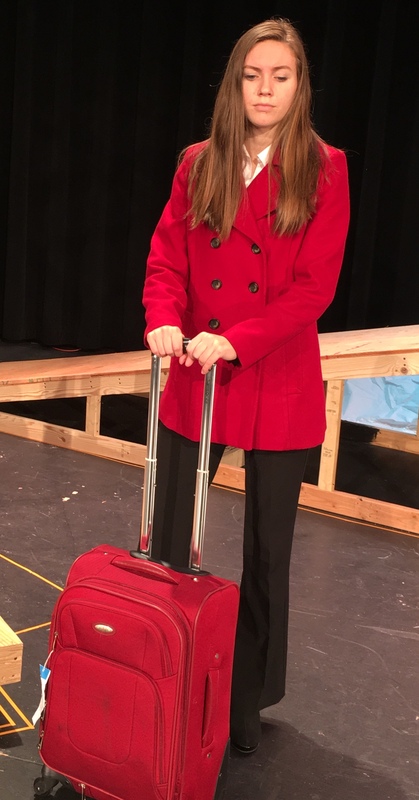 (class of 2013) and Jack (class of 2015), is directing her third production at KHS. Kennett teacher Katie Soukup is the production manager; Soukup and Weber are also overseeing properties and costumes. Science teacher Michael Anastas is in charge of sound and lights. Nat Caccamo and Paul Gouge built this year’s set, and Liz D’Wolf designed and painted it. Megan Appleby is the student production assistant. “I’m fairly certain that everybody who sees this play will have some element in their lives that is an ‘almost’ since we live with ‘almost’ every day. As it has with the actors, I hope the show will encourage each audience member to think about where they might have an ‘almost’ and perhaps feel the same magical push that will take them to ‘what’s next,’” said Weber. Both the cast and stage crew include students from all grades. The curtain goes up on Friday and Saturday nights at 7:30. Tickets can be purchased at the door; prices are $5 for students and senior citizens and $8 for adults. Kennett Consolidated School District science teacher Mr. Michael Replogle has been named the 2017 Brandywine Red Clay Alliance Teacher of the Year. Mr. Replogle, who teaches both Earth and Space Science and Advanced Placement Environmental Science, has been on the high school faculty for 22 years. “I think one of the most important things we can teach our kids today is the importance of keeping our water, air, and soil clean. In the very near future, they will be making decisions and personal choices that will affect each of these areas and helping them to become more aware of the problems and possible ramifications of their decisions is something that I am very proud to have a part in. The kids seem to love the topics we look at in AP Environmental Science, and I certainly enjoy talking with them about each of the topics we study,” said Mr. Replogle. Mr. Replogle received the award at a banquet on October 26. School lunches have come a long way since many of us were in school. Our memories of Friday pizza day and lukewarm tater tots are not the reality of today’s students. While all meals served as part of the National School Lunch Program must meet federal requirements, decisions about specific foods and preparation methods are made by local school districts and their staff. At Bancroft Elementary School, the team responsible for ensuring that meals and snacks are nutritious and appealing is led by Mrs. Jane Davis. Mrs. Davis has worked with the District since 2006. 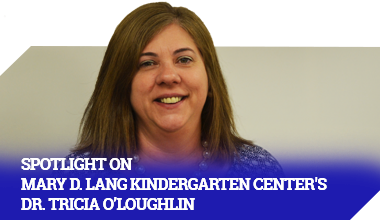 She began working in the dish room at Kennett Middle School, moved to Mary D. Lang Kindergarten Center to become the cafeteria assistant manager, and has been the cafeteria manager at Bancroft Elementary School since it opened six years ago. Mrs. Davis and her husband have been married for 34 years. They have two sons and five (soon to be six) grandchildren. She enjoys visiting the beach, crafting, cooking, and camping. Members of the team are Mrs. Linda DiLuzio, Mrs. Anna Zavala, and Mrs. Isabell Baeza. 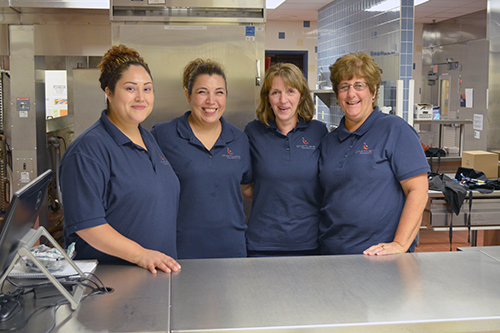 Together, they prepare breakfast daily for approximately 70 students and a hot lunch for an average of 300 students. Mrs. DiLuzio has been with the District for 17 years. She started at Kennett Middle School the year it opened and moved to Bancroft Elementary School six years ago to help open the kitchen. She and her husband have four children and four grandchildren. In her free time, she enjoys spending time with her grandchildren, visiting the New Jersey shore, and reading. Mrs. Zavala joined the Kennett Consolidated School District last year. She previously worked on a mushroom farm. When she is not working, she enjoys spending time with her family and making cakes for parties. Mrs. Baeza has been with the District for eight years; this is her first year at Bancroft. When she is not in the kitchen there, she can be found in her own kitchen making tamales for her family. Upon arriving to work each day, the woman fall into their routine, working together to prepare the day’s meals. Mrs. Davis explains that everyone is cross-trained so that they can do each other’s jobs. From preparing fresh salads and vegetables to serving students and working the register, the kitchen is a very busy place. Mrs. Baeza loves her job and appreciates that every day brings something new. She especially loves seeing the students. Mrs. Zavala agrees, adding that it is a very positive work environment. As cafeteria manager, in addition to preparing and serving food, Mrs. Davis orders and monitors inventory, ensures that the team follows ServSafe regulations, and maintains accurate records. The team is excited that, for the first time, this year they will be incorporating into the lunch menu produce from the raised bed gardens that the elementary school started tending in 2016. The students will be able to sample Brussels sprouts, broccoli, and cabbage that they planted and watched grow. 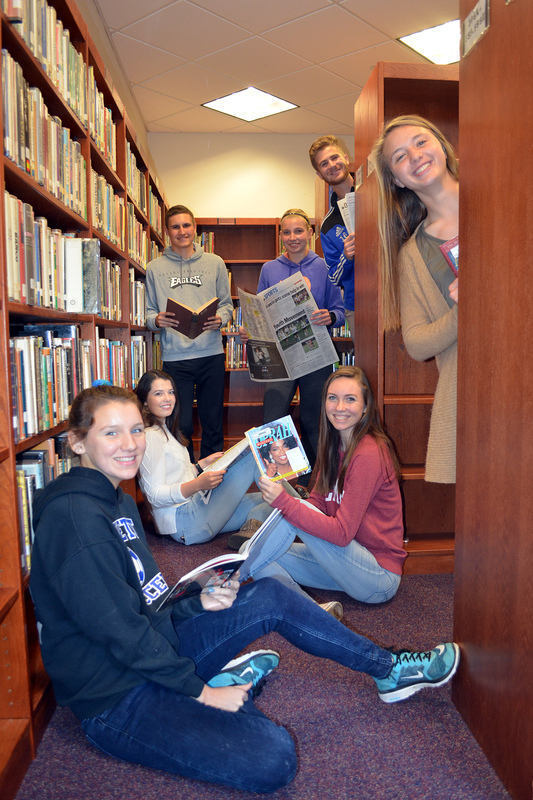 Kennett High School is proud to announce that seniors (back, from left) Jake A. Kalscheur, Nicole C. Huff , Nathan E. Dight (sitting, from back), Ryley W. Harris, Abigail D. Duckworth, Kathleen M. Schuetz, and Claire M. Dawyot (standing, front) have been named Commended Students in the 2018 National Merit Scholarship Program. “We are so proud of these outstanding students, not only for their exceptional performance on standardized tests but also for all the other ways in which they enrich the Kennett Square community,” Dr. Hritz stated. Although these students do not continue in the competition for National Merit Scholarships, they placed among the top 5 percent of the 1.5 million students who entered the 2018 Merit Scholarship competition by taking the 2016 Preliminary SAT/National Merit Scholarship Qualifying Test. The Kennett Consolidated School District congratulates Jake, Nicole, Nathan, Ryley, Abigail, Kathleen, and Claire on this outstanding accomplishment. Did you know that Kennett Consolidated School District has published authors walking its halls? And they’re not even in high school yet! 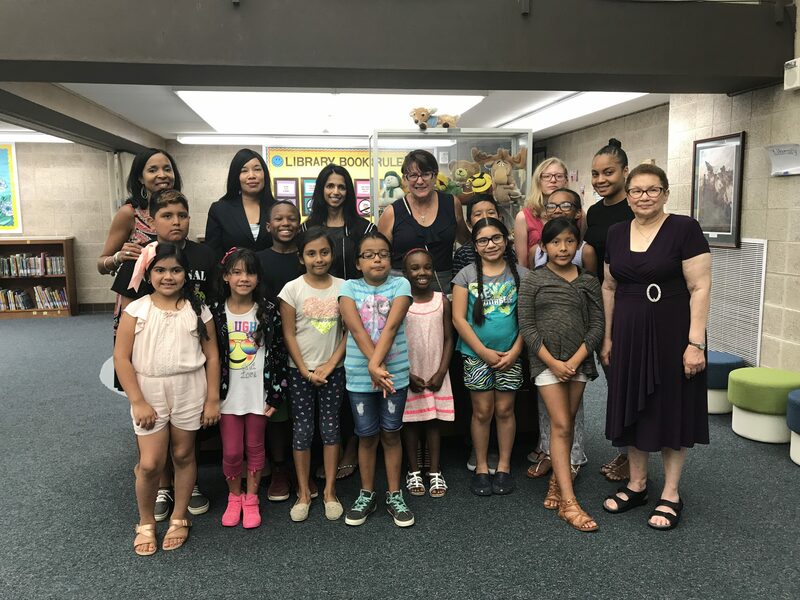 This summer, 11 select students, mostly fourth and fifth grade students, gathered for the Youth Writing Workshop, sponsored by the National Youth Foundation (NYF). Over the course of seven days, they collaborated on a book from conception to publication. While they had the assistance of adult staff, the students had total ownership of every element, from the title page to the last period. Each day of the workshop concentrated on a different skill. In the beginning, they focused on research and discussed what they wanted their book to be, under the theme of “Local Heroines” for the NYF’s Amazing Women’s Edition. They also learned how to prep for an interview, which was held on the second day. The students hosted Dr. Bhavna Shyamalan to talk about her experience founding and working for the M. Night Shyamalan Foundation. After the interview came the drafting process. The students divided up into writing and drawing teams, creating the narrative and illustrations for their book. The week continued with more writing and drawing, until they made it to the editing stage. The book was published in print and the students donated copies to local public libraries. The Youth Writing Program provides an environment outside the classroom where students can practice skills necessary for future success, like editing, teamwork, and communications skills. Mrs. Sophia Hanson, a district parent who started the National Youth Foundation, said that the biggest area of growth for this set of students was teamwork—and their realization that they could be authors. The organization hosts three core programs. The first is collaborating with professional athletes from the NFL and the NBA to administer the Student Book Scholars team writing contest. NYF members also visit neighborhoods across the country and team up with community centers and schools to host Youth Writing Workshops. Finally, the organization developed the Amazing Women’s Edition competition, which gives students from kindergarten to eighth grade the opportunity to share stories of heroines in their own communities to honor the vast accomplishments of women in the United States. For more information about the Amazing Women’s Edition contest, visit here. There will be a Community Flu Vaccine Clinic held at the Kennett High School Cafeteria located at 100 East South Street in Kennett Square on Thursday, October 19 from 2:30 – 6:30 PM. Seasonal flu vaccines will be administered at no cost to Kennett Students and their families, staff, or members of the community as long as you bring your insurance card. Vaccines are free if you have no insurance. There is no pre-registration necessary and all members of the Kennett community are welcome. High school students do not have to have a parent in attendance as long as the consent is completely filled out and signed by a parent/guardian.